When viewing your Broadcast engagement stats, you may see this option: Clicks. 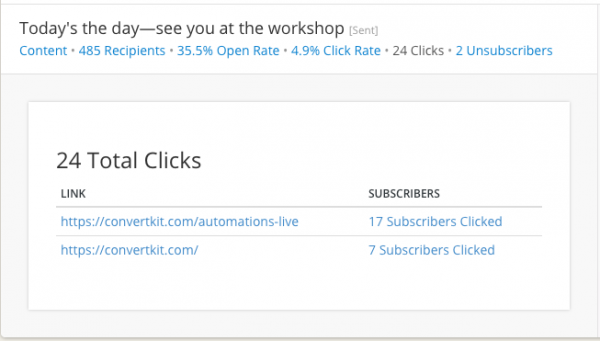 Bulk actions on link clicks! Simply click on the Subscriber count in the screenshot above, and you'll be taken to the Subscribers page, filtered down to only show those who clicked that exact link. 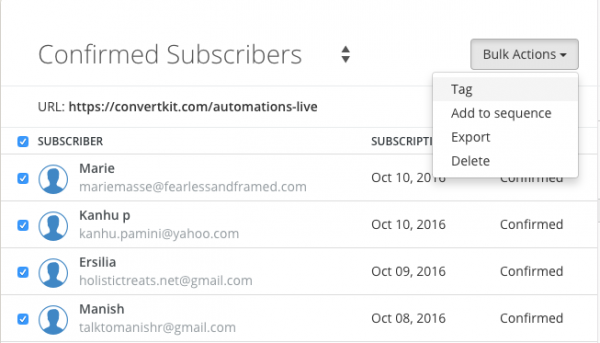 Then select all Subscribers here, and perform a Bulk Action to Tag the Subscribers (or add them to a Sequence).